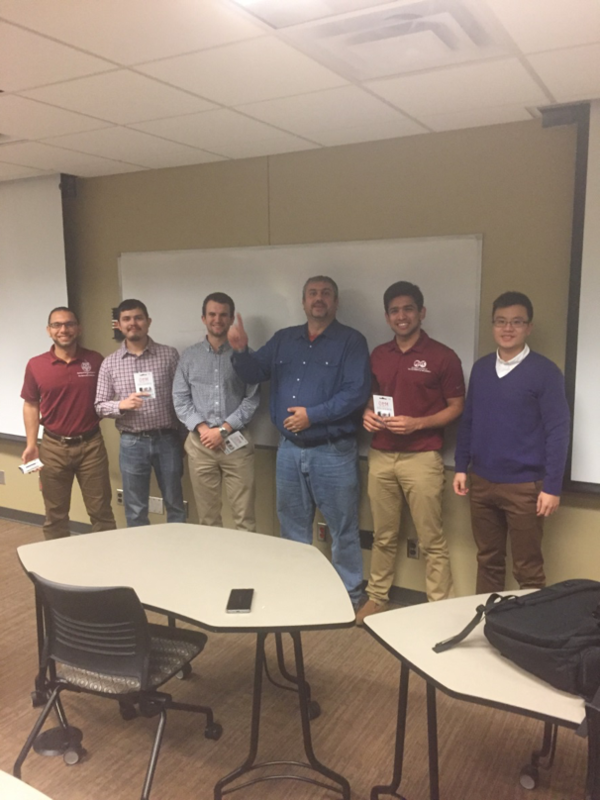 In two courses this semester, MPGE students had the opportunity to put the industry information they’ve learned into practice through in-class presentation competitions. 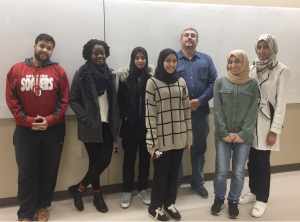 For the third consecutive year, the students in the Completion and Workover course offered by Dr. Teodoriu competed amongst themselves for best presentation. The Completion and Worker course is one of the few in the nation with strong hardware components which brings mechanical engineering knowledge to our petroleum engineering students. 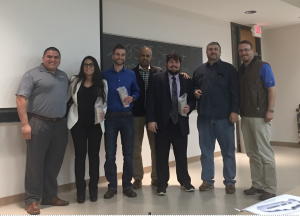 This year, the students who won best presentation presented on “Feasibility Study on Converting Oil and Gas Wells for Geothermal Power in Oklahoma. The casing design also focused on the connection selection and it’s influence on the overall wellbore economics and safety. The competition, sponsored by Tenaris, exposed students to firsthand information about the latest industry practices and developments. Students had five minutes to present their outcomes, and it came down to a close decision. Below you will see the winners from both sections of the class. Special thanks to Tenaris forsponsoring the Drilling and Completion competitions, and congratulations to the winners from each class. Congratulations to my lovely daughter and her friends. You have done a tremendous job. Keep up the good work and hope to reach what you dreamed of. You always makes me so proud of you.